Gardens by the bay is a recently introduced facility in Singapore. 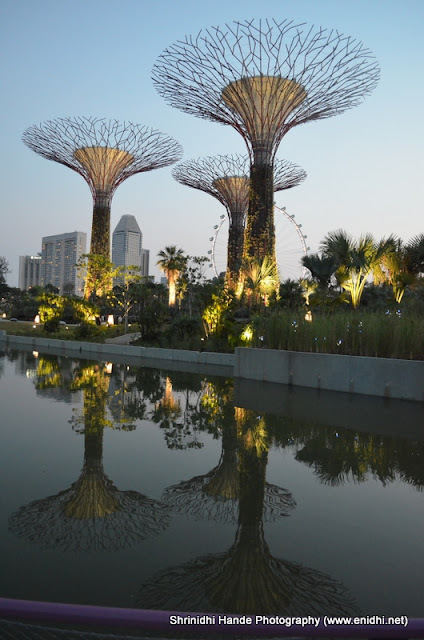 Inaugurated 1 week ago, Gardens by the Bay is Singapore's answer to New York Central Park or other popular parks world wide. 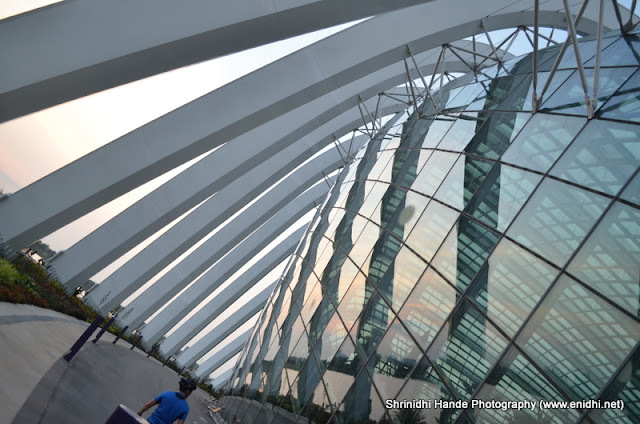 Constructed at a cost of 1 billion Singapore dollars, it is built on a prime real estate area, reclaimed from sea, right infront of Singapore's iconic Marina Bay Sands. 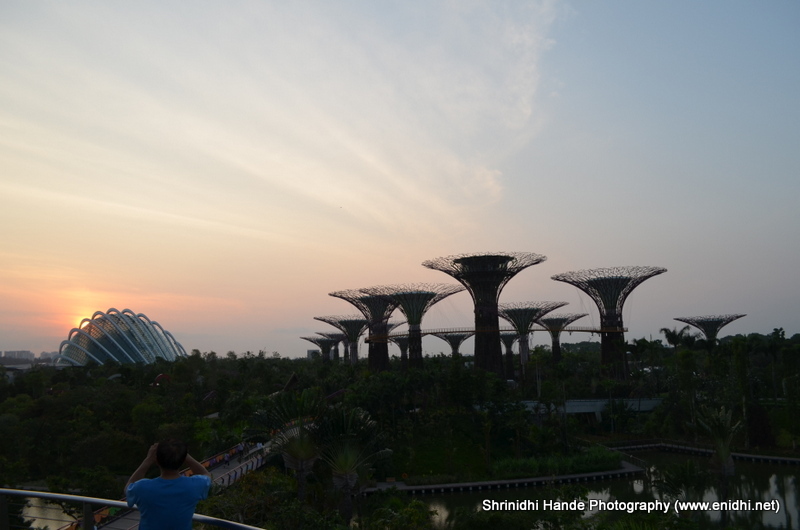 I managed to take few hours off my work and visited Gardens by the bay last Sunday early morning. Literature said it is open from 5AM till 2 AM. I reached there at about 5.45 AM, guiding the taxi driver to right place using maps, as he was not yet familiar with this newly launched facility. It took me another 5 days to blog about it, due to time constraints. Still, I assume I would be the first few Indian bloggers to write about this place. Once I entered the place, I was in for a disappointment. Only the garden is open between 5AM till 2AM. Ticketing counters would open only at 9AM and the 3 places which need ticket to enter were closed too. The flower dome and Cloud Forest- two key attractions at Gardens by the bay were closed. Supertrees: Gardens by the way has several supertrees as you see below. They appear similar to water tank structure you might have seen some India cities. 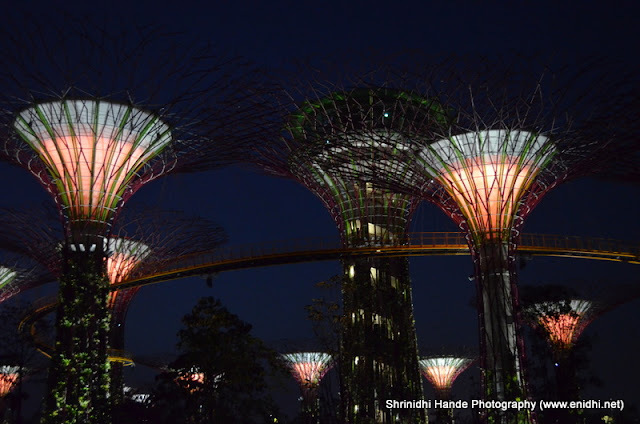 Made out of concrete but decorated with steel branches and electric lighting, these super trees make a visual treat, both from a distance and up close. Real vegetation is stuffed in between. 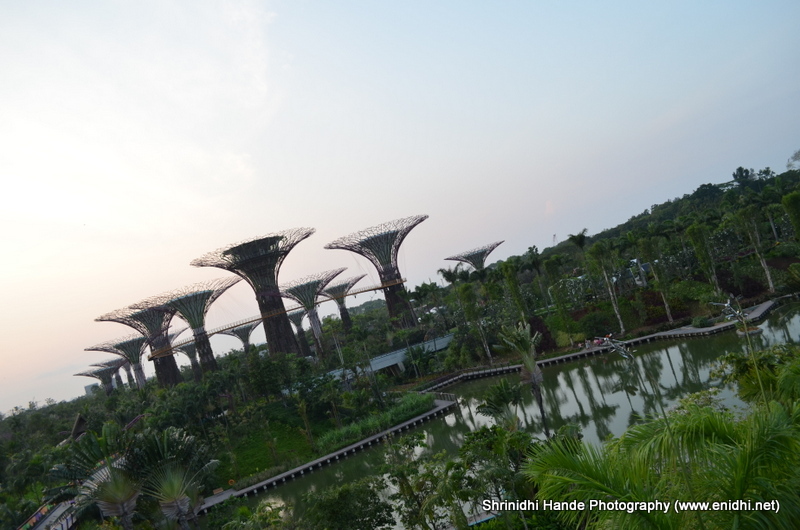 If these vegetation grow over the artificial structure, in few years these trees will have different look. 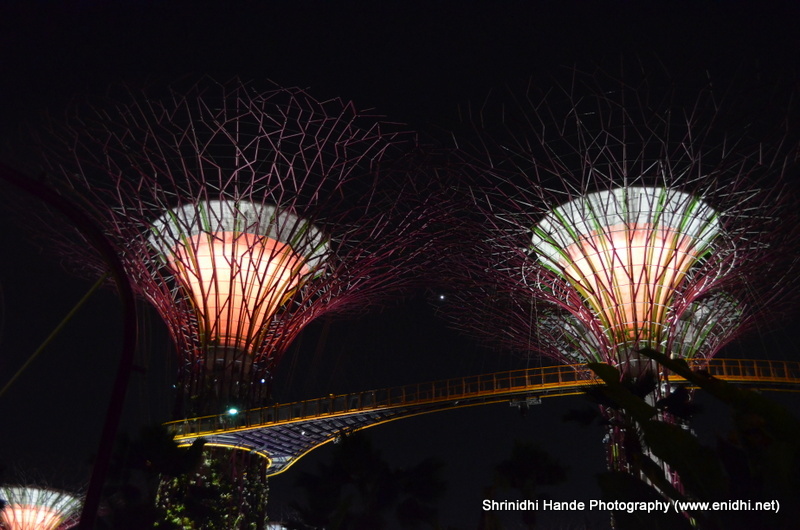 These super trees are visible from a distance and make it very easy to locate the place. What an honour to be among the first to write about this.